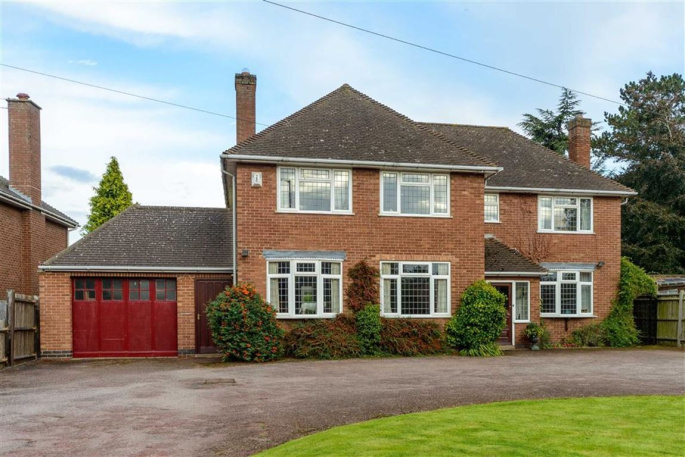 An outstanding opportunity to acquire an impressive, individually styled 1950's built detached family residence providing well proportioned and extended four bedroomed accommodation including large garden in this highly regarded north Leamington Spa location. 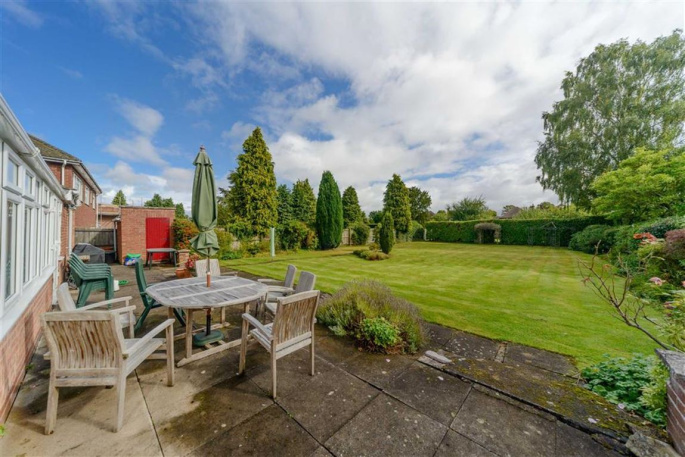 Is a highly favoured north Leamington Spa location comprising many fine individual detached properties, the location being ideally sited within easy reach of the town centre and all amenities including the local railway station and the motorway network is easily accessed. 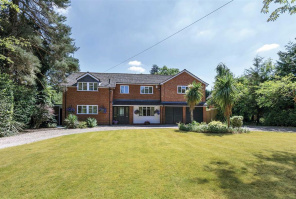 In recent years Lillington Road has proved to be much sought after. 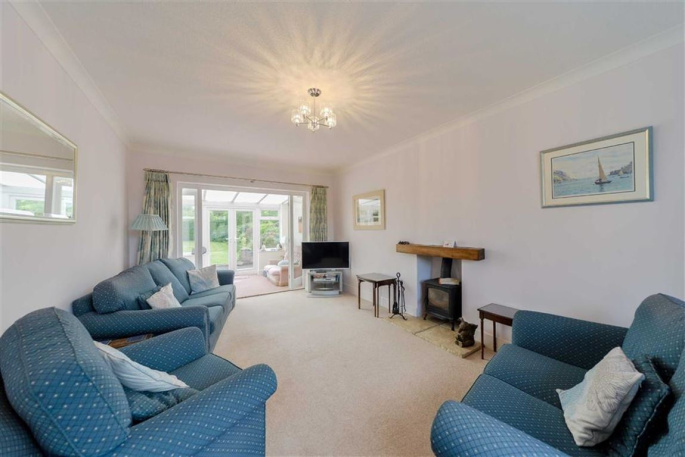 Is a rare opportunity to acquire an impressive detached residence originally constructed for Messrs A C Lloyd for his own occupation in the 1950's. The property has been improved and extended over the years to provide well appointed gas centrally heated four bedroomed accommodation and is also understood to have planning permission granted for a further extension (details available on request). 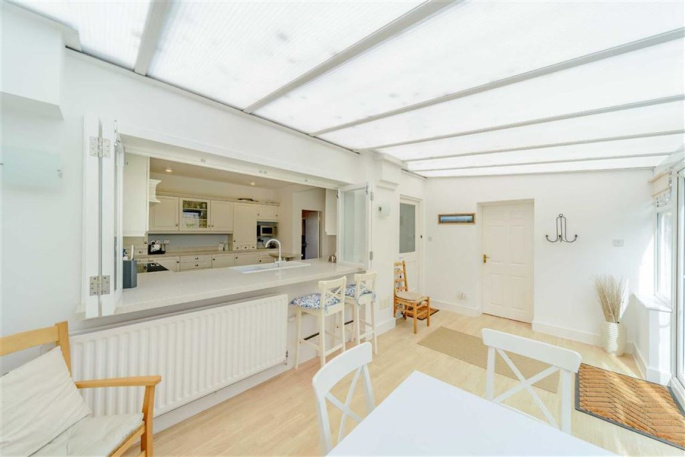 A particular feature of this property is the very large gardens to both front and rear and a comprehensively re-fitted kitchen. The property has been maintained by the present owners to an excellent standard throughout and represents a quite outstanding opportunity. Inspection recommended. With oak flooring, staircase off, turned balustrade, under stairs cupboard, coving to ceiling, double radiator with shelf over. With low flush WC, wash hand basin with mixer tap, tiled splash back, laminate floor, extractor fan, down lighters. 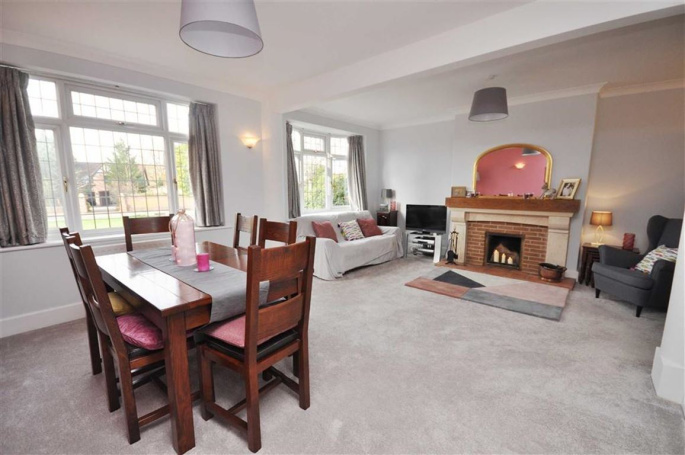 With fireplace feature with stone hearth, cast iron wood burner and timber lintel over, coving to ceiling, bay window overlooking front garden, double radiator, TV point and twin French doors and side panels lead to further reception room. 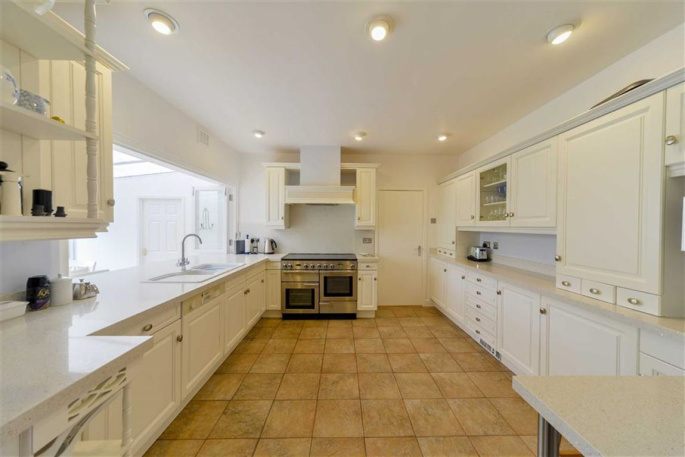 With single drainer stainless steel sink unit, appliance space and plumbing for automatic washing machine, fitted shelves, Worcester gas fired central heating boiler and tiled floor. 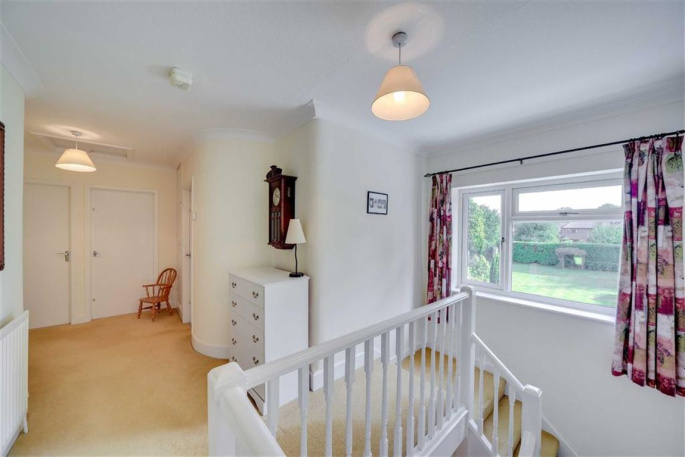 With double radiator, twin French doors to rear garden, glazed panelled pitched ceiling and wall light points. 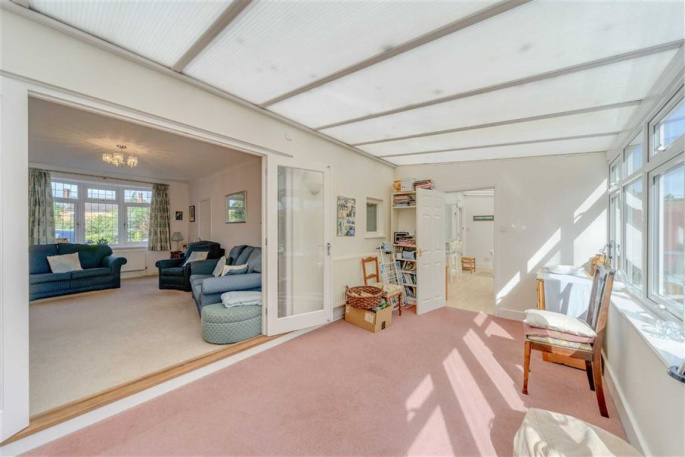 Accessed from the breakfast room, with twin French doors to rear garden, fitted shelves, double radiator and door to outside to garage. With turned balustrade, coving to ceiling, access to roof space, radiator. 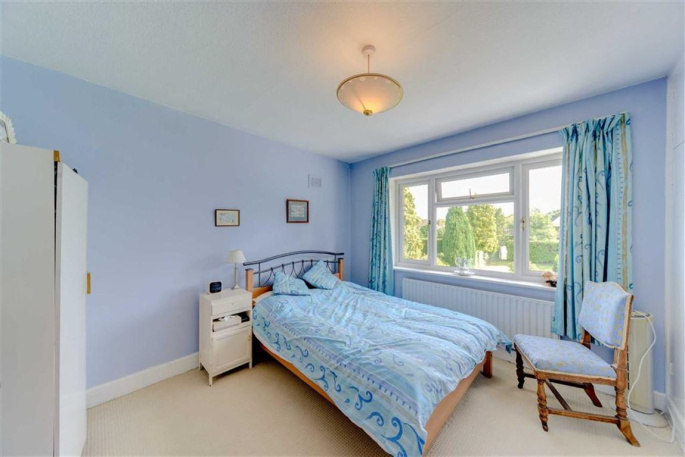 With range of built in wardrobes comprising four double wardrobes with hanging rails and shelves, matching dresser with drawers under and cupboards over, windows to two aspects, double radiator. With walk in shower cubicle with integrated shower unit and screen, heated towel rail, pedestal basin with mixer tap, low flush WC, half tiled walls, radiator and extractor fan. 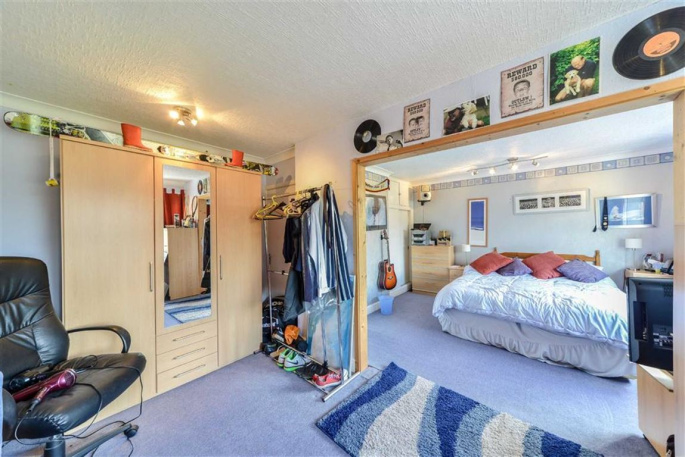 With double radiator, built in wardrobe with cupboard over, bed alcove. With double built in wardrobe, hanging rail, cupboards over and radiator. 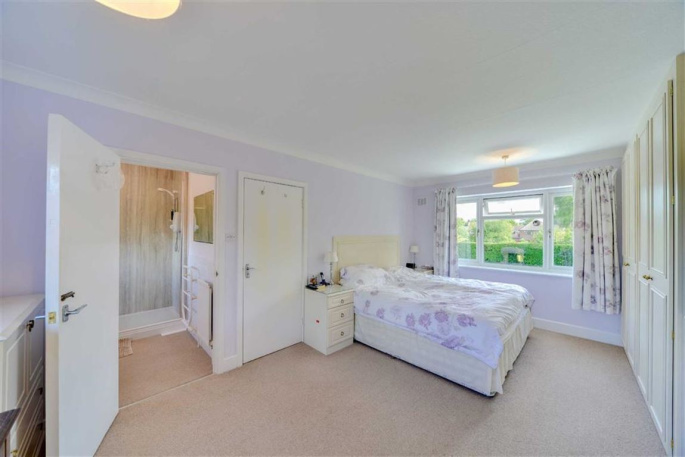 With white suite comprising panelled bath, pedestal basin, low flush WC, tiled splash backs and shower area with electric shower unit, shower rail and curtain, laminate floor, double radiator. The property occupies a particularly pleasant situation within Lillington Road, the large garden to both front and rear being noteable. 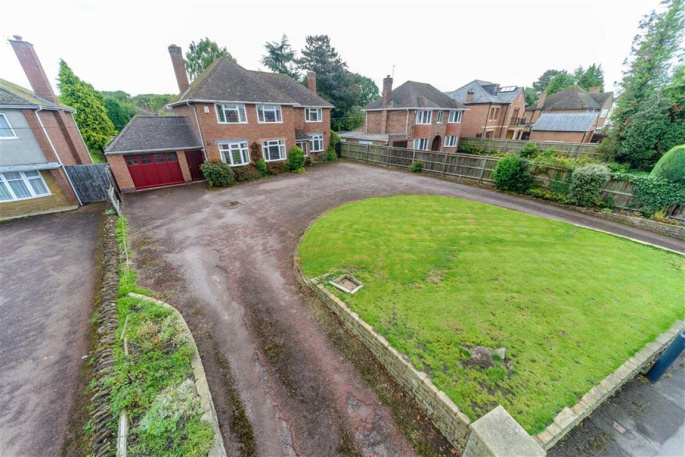 The property is approached via a tarmac carriage driveway which provides considerable car parking and leads to the adjoining garage. There is a centralised lawned front garden, the plot being flanked by established flower borders. 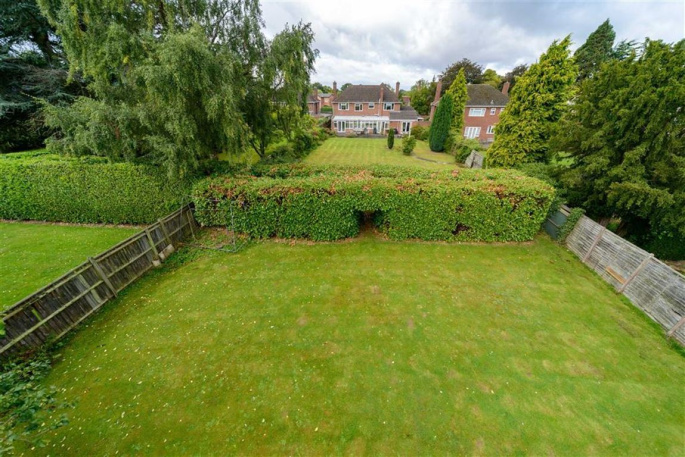 The large rear garden comprises; paved patio, extensive shaped lawn flanked by established flower borders with pathway and laurel hedge screen leading to a further good sized lawned garden in all being bounded by close boarded fencing. With sliding timber doors to both front and rear with electric light, power point, cupboard and access to rear. The property is understood to be freehold although we have not inspected the relevant documentation to confirm this. 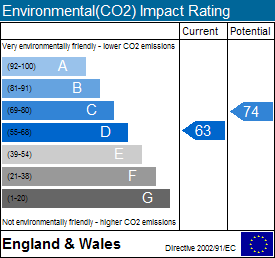 All mains services are believed to be connected to the property including gas. NB. 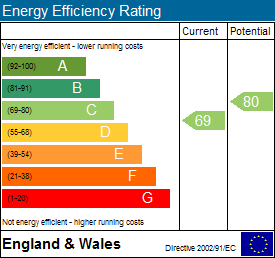 We have not tested the central heating, domestic hot water system, kitchen appliances or other services and whilst believing them to be in satisfactory working order we cannot give any warranties in these respects. Interested parties are invited to make their own enquiries. The property can be approached by proceeding north from our office via Clarendon Place, turning right into Clarendon Avenue. Proceed for its entirety and turn left into Clarendon Street following onto Lillington Road, passing over the two traffic islands. Proceed for a distance whereupon the property will be found located on the right hand side.